I plan to write book reviews as I read them. Since I am just started this blog, I want to do a little bit of catching up. My mother-in-law gave me an awesome reading journal for Christmas that I have been using. It is such a treat for a book nerd like me. It not only has space to journal, it has lots of checklists! So far, I have read and recorded my thought about five very different books. Read along for my quick takes. 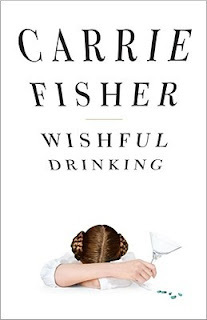 I listened to the audiobook version of this memoir, which was read by the author, to honor Carrie Fisher who passed away this Christmas. I am sad that she left us, and I am disappointed it took her passing for me to read one of her books. Wishful Drinking was originally a one-woman stand-up show, so it translates well as an audiobook. Fisher is hilariously sarcastic even when discussing difficult subjects such as drug abuse, alcoholism, mental illness and failed marriages. Her love for her mother, daughter and brother is clear in every anecdote. I recommend this book to anyone who enjoys celebrity memoirs, likes to learn about people who struggle with mental illness or for those looking for an entertaining car trip audiobook. As a lover of poetry and an English major, I figured it was time to read the classic poem "Howl" in its entirety along with the other poems in this collection. While I did enjoy the poetic elements (rhythm, word choice, repetition, alliteration, consonance and assonance), I did not enjoy the content. 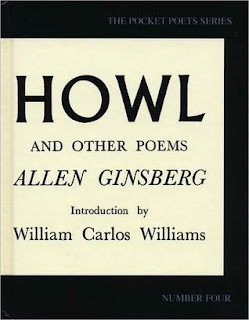 Ginsburg writes from a dark place that I have little to no understanding. The poem focuses on the seedy underbelly of society. I enjoyed the "sounds" of his poetry - I just did not like what he said with those "sounds." However, while I can not appreciate the situations because they are so far out of my realm, I can appreciate the importance of this poem and beat poetry. The initial premise of the latest Picoult novel is eye-catching. It focuses on a Neo-Nazi couple who give birth and refuse care from the only black nurse at the hospital. When the baby goes into cardiac arrest, does the black nurse intervene even when she has been told she should have no interaction with the baby because of her skin color? And what are the consequences either way? 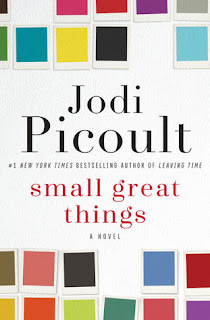 In this novel, Picoult goes back to writing courtroom dramas using multiple narrators. There is also the usual twist at the end. Unfortunately, several events occurred during the falling action that I found implausible. Some characters acted in ways that did not align with the character traits we'd read about for the duration of the novel. While the premise is intriguing, the novel itself let me down. It has been a few years since I have read any Shakespeare, so I decided to read The Taming of the Shrew This is a comedy I have not read, but a plot line and characters I am familiar with due to the movies based on it (such as 10 Things I Hate About You). I listened to a dramatized audio version of the play while attempting to keep up with my son's Lego Brick Shakespeare version. Unfortunately, the Lego Brick Shakespeare version is abridged, so it was difficult to follow along this way. The lego illustrations were funny though. The play revolves around a man (Lucentio) who wishes to marry Bianca; however, her more stubborn sister must marry first. Enter Pertruchio. Petruchio's goal is to marry the older sister, Katherine, in order to receive a large dowry. 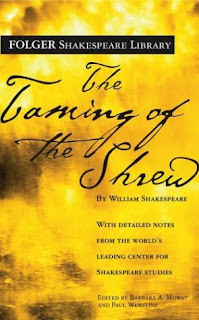 The basic plot is entertaining, but I was disappointed by the whole idea of having to "tame a shrew" - in other words, quiet and still Katherine's fiery and feisty personality. Wow. I have known Nichole Nordeman as a singer for years. I even sang her songs for solos in church. 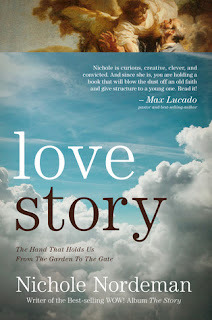 But, I didn't think of her as a storyteller until I heard her speak at the Belong Tour. Her soft, heart spoken truths stayed with me. So, when I read a recent post on social media by her and was moved again, I decided to see if she had published anything else. I was thrilled to find this book. I bought a copy immediately and it was the perfect remedy for what had been a difficult weekend. As I read each page, I grew. She uses personal reflections and stories to discuss her take on how different Biblical men and women might have felt when they understood the Savior's love. This is one of the few books I think I will read again. I wish she would write another one.